I cannot stop staring at these blue-eyed children. Today was a big day for all of us--very much a historic rite of passage. 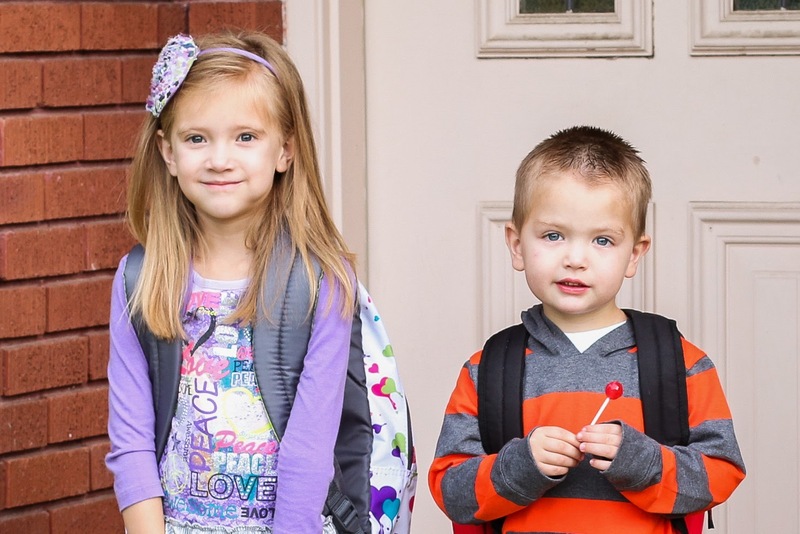 Today my little Liliane started kindergarten, and my little Wesley started preschool. Just look at these two. They are not babies anymore. They're growing, they're changing, they're progressing, and they're learning. Each day I find them becoming more and more independent. Both of them were eager for me to be on my way after dropping them off at school, and sadly for me, neither of them thought twice about being away from me. My mom told me she cried and cried the day her youngest child started kindergarten. There was a brief moment today when I questioned my adequacy as a mother because my eyes were dry. I quickly put that thought away because I realized I've spent the last two years of my life crying for my children. Over the last twenty four months I've shed many tears on their behalf, tears of joy and tears of discouragement knowing that they were growing, and I wasn't right there to see every second of it. That is the hardest part about being a working mother outside the home....but, at the end of the day, they are still my sweet children. I get to spend forever with these darlings. That thought brings me hope, and the truth in those words keeps me going. So now, when we're away from each other either at school or at work, I'll just stare at these pictures of their adorable faces.... Doing that should hold me over for a little while until I can squeeze-hug them to bits.